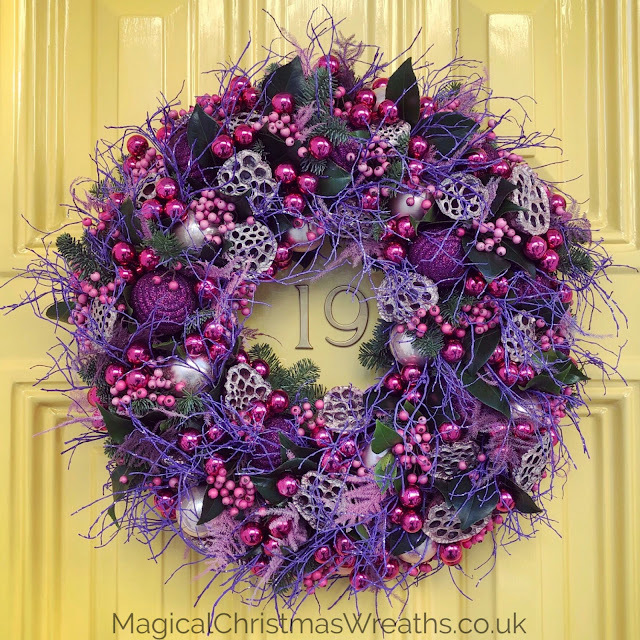 Adding a touch of sugared almond sweetness to this years theme with this custom Parma Violet inspired door wreath which we created for one of our favourite clients. Alongside our online favourites which we add to year on year we can also custom create designs in all manner of styles and inspirations. Drop us a line or call to discuss your next Magical Christmas Wreath!